It's like having the world's tiniest bouquet on your fingertips! 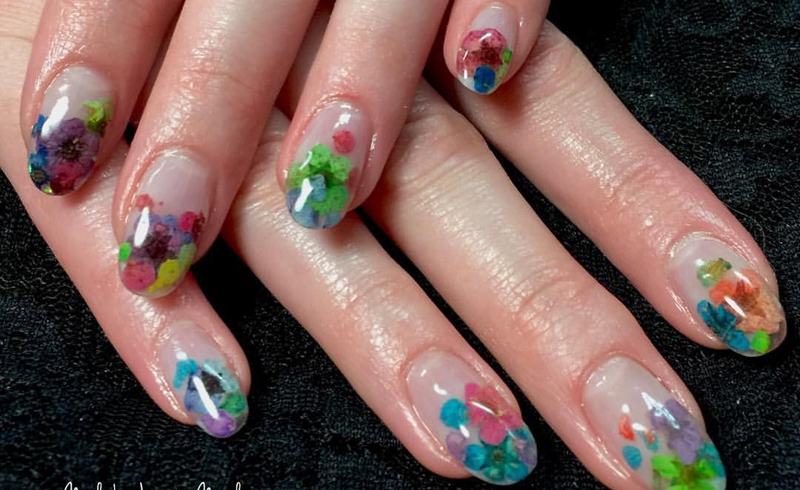 This nail trend involves applying real, dried flowers to your nails. Sign us up! Unistella Salon could quite possibly be the biggest nail trend-setters of our time, and their latest look is falling perfectly in line. 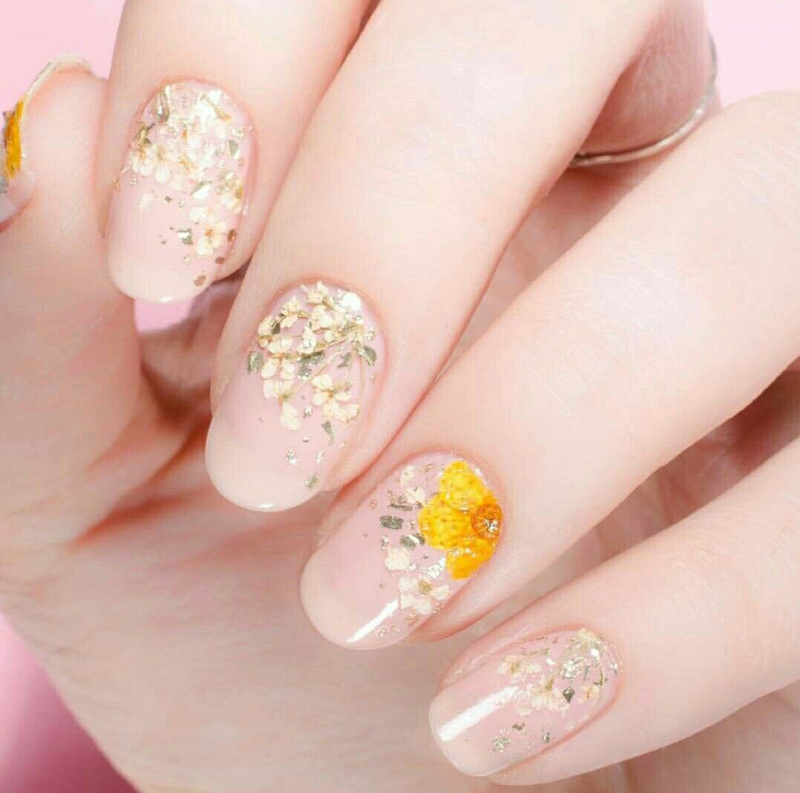 Pressed flower nails (also known as dried flower nails) have been blossoming onto our Instagram feeds as of late, and we have absolutely zero complaints. The South Korean salon has been applying the manicure for a couple of years, but it's just starting to catch on. They use real, dried flowers (which you can easily buy from Amazon or Etsy) to get the look, so it's honestly like the world's tiniest bouquet on your fingernails! Ugh. So freaking cute. Don't want to go to the salon, but want to try look out on your own? Check out this tutorial from Beauty By Pardeep to learn how! Paint your nails a base color of your choice, and let them fully try. Apply a top coat over your base color, and (using a tweezers or a nail art tool) position the miniature flowers on the wet surface where you'd like them to lay. Carefully push down the petals of the flowers into the still-wet top coat. Apply another layer of top coat to secure the flowers, and let dry. Voila! You've got the prettiest little garden on your own hand! Watch the entire tutorial from Beauty By Pardeep below!